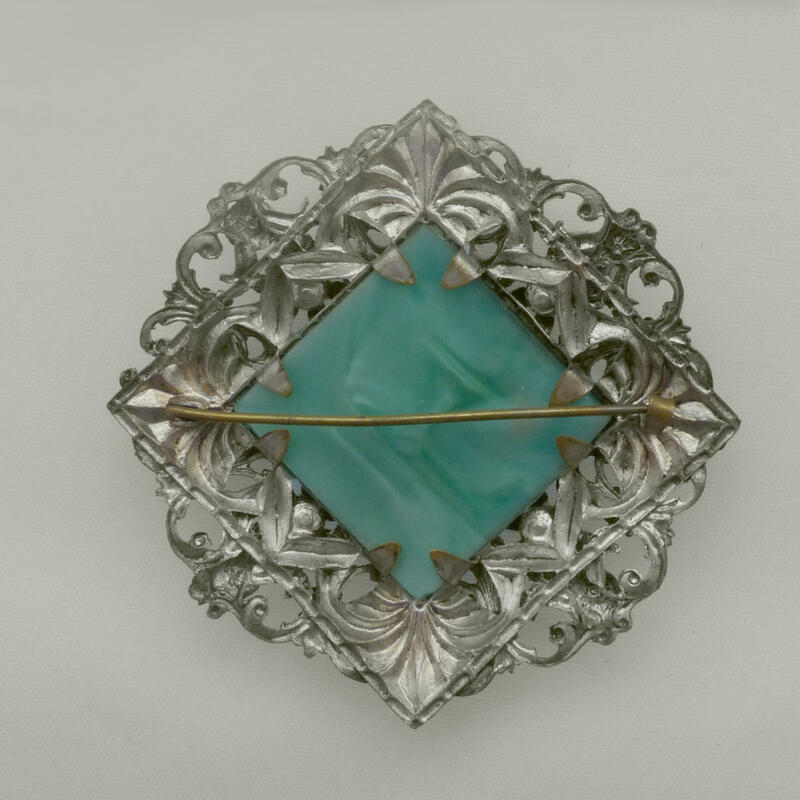 Beautiful fligree brooch with a rare large peking glass square centrepiece. 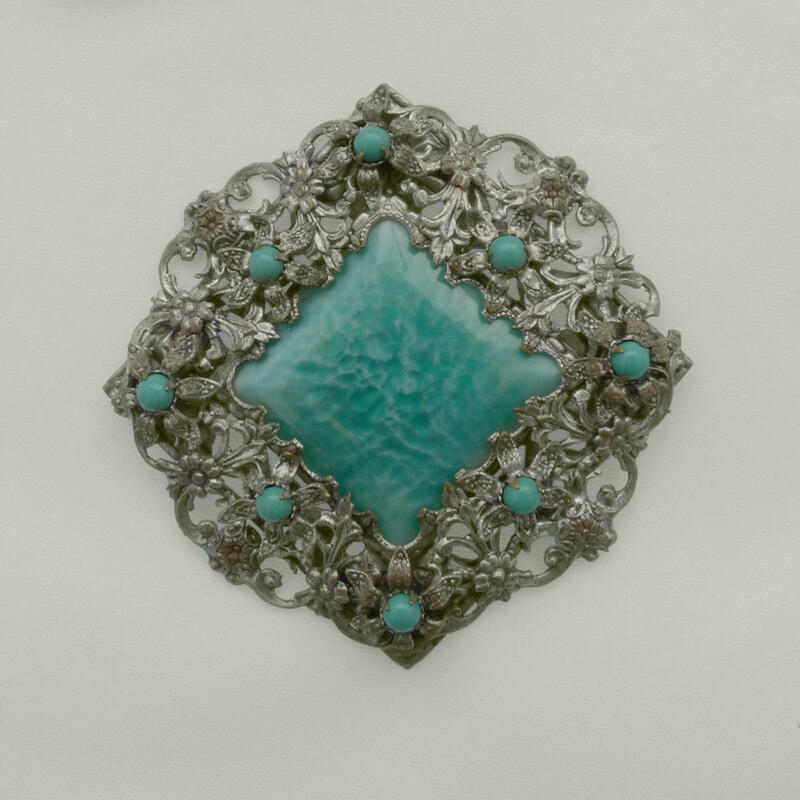 The fancy stamped antiqued silvertone openwork frame is enhanced by delicately set turquoise glass cabochons. Plain 'c' clasp.